Organic and fair trade dark chocolate (cocoa paste, cocoa butter, vegan sugar, soy lecithin, vanilla), organic vegan fair trade evaporated cane juice sugar, organic coconut milk, organic coconut butter, organic pecans, local apples, organic spices, cream of tartar, organic flax seeds, homegrown organic thyme, local wheat flour, yeast, organic lemon, homegrown organic rosemary, local maple syrup, spices, fruits, nuts, wine, organic sorrel, housemade organic vanilla, sea salt. 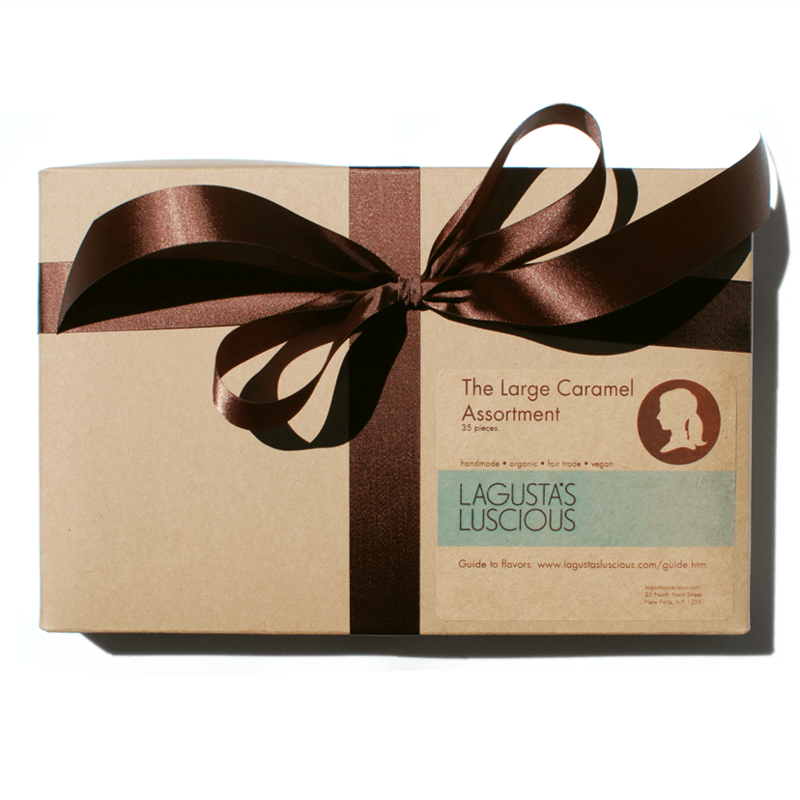 Our Small Caramel Assortment Box fulfills the needs of the everyday caramel snacker, but sometimes you need something a little bigger, a little more decadent. 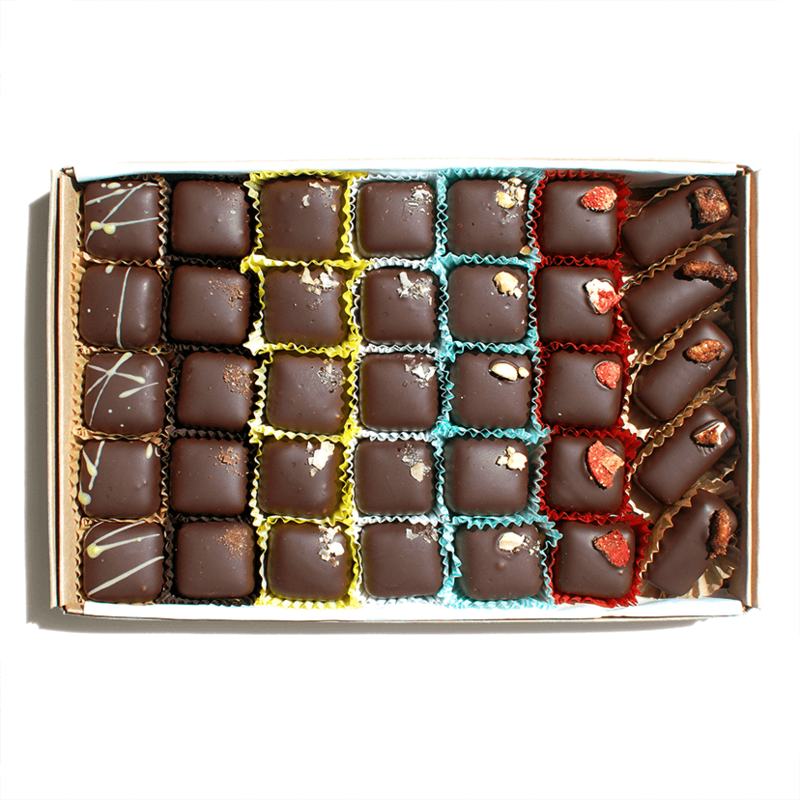 This box is a selection of the caramels in our display case of the moment, so it ships fast fast fast (also, caramels last a six weeks, so you can do that thing where you stash the box in your desk drawer and eat one caramel a day). We guarantee at least five flavors of caramels, but your box could have more depending on what seasonal caramel specials we have on hand. 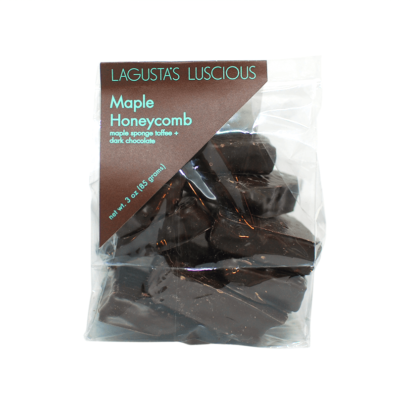 Rosemary Sea Salt Caramel: garnished with beautiful flaky rosemary-infused sea salt. Thyme Caramel with Sea Salt and Preserved Lemon Caramel: garnished with amazing lemon-infused flaky sea salt. Maple Pecan Caramel: Made with local maple syrup and homemade pecan butter, these are smooth, intensely nutty, and ridiculously good. 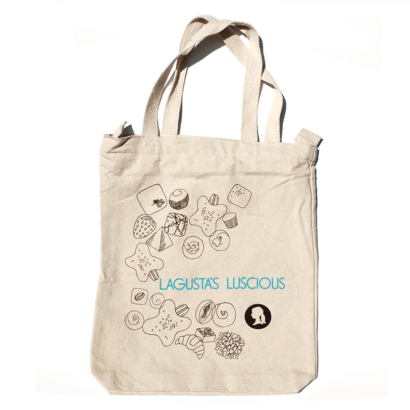 They’re what I (Lagusta!) snack on when I’m working late nights. Strawberry-Balsamic Caramel: a cross between a pâté de fruit and a caramel, zingy with the electric undercurrent of balsamic, marvellously fruity with masses of local strawberry purée. Cardamom Caramel: The favorite of everyone who works at the shop, really we should make it a regular player in our lives, but production schedules dictate that it usually is relegated to the status of cherished bit player. Tragedy, because it’s aromatic and mysterious and everything good. Apple Caramel: infused with fresh local Hudson Valley apples grown just a few miles from the shop, topped with a housemade candied pecan. Spicy Apple Caramel: Our regular Apple Caramel with pasilla chilies. An atomic fireball of sugary deliciousness. Other weirdo caramels in rotation! It’s important to eat caramels at room temperature, for the best flavor and texture (rock-hard caramels are no fun). 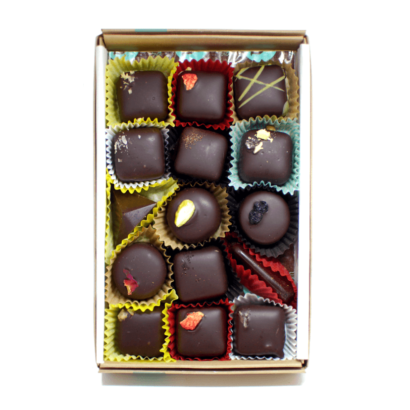 Caramels will keep one month-6 weeks in a sealed container at cool room temperature. 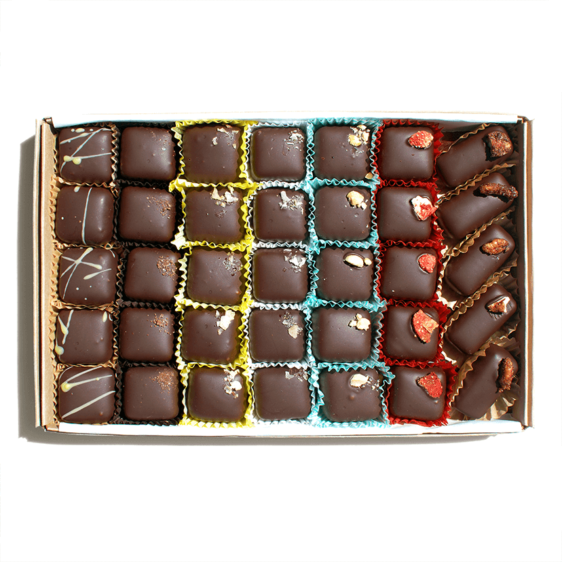 All Assortments arrive packaged with customized guides to their flavors.